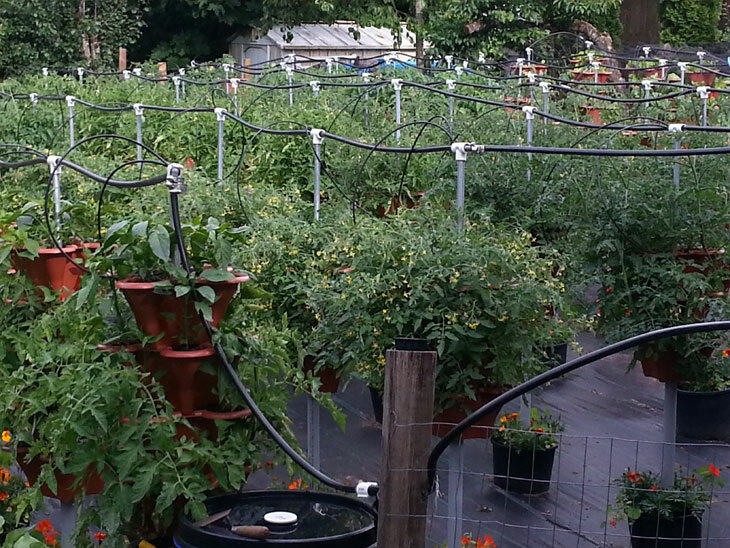 Growing tomatoes can be fun, challenging and rewarding. It can also be hard work. For us gardeners that prefer less work and large yields, please read on. 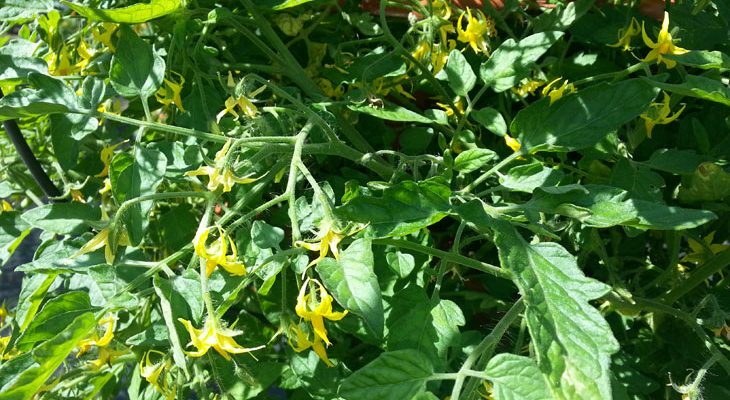 In a nutshell, growing any tomato plant downwards eliminates the need for staking. 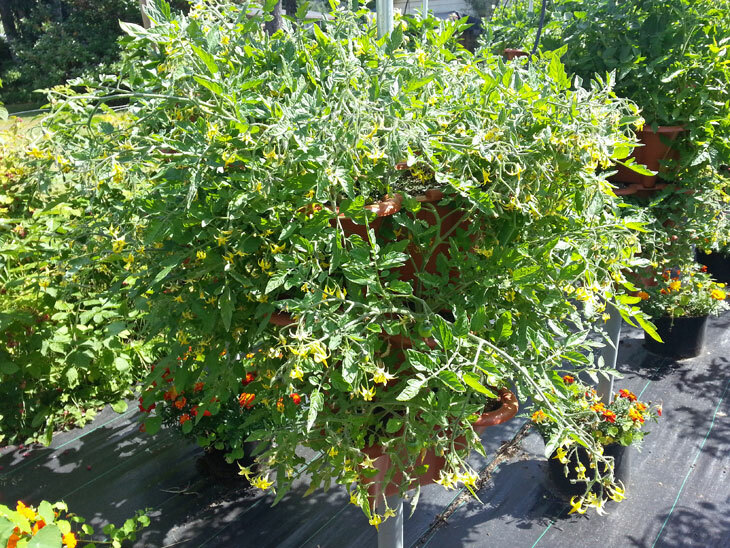 I know, some of us may already be thinking that this is ‘not the way to grow large varieties like Beefsteak’ or other non vine tomatoes. 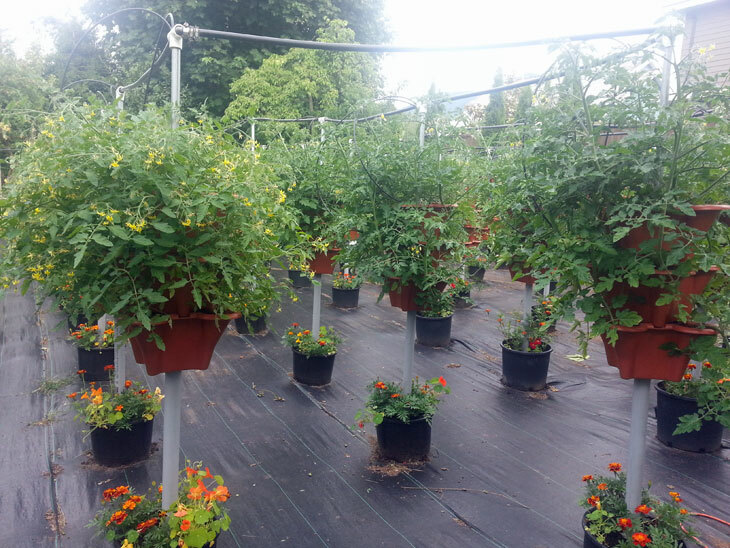 However, if they are grown in pots and can hang downwards, the stalks will flop over and even bend in some circumstances with varieties like Beefsteak. These plants will survive fine, especially if they are fed properly that makes them strong. The opposite holds true for weak plants. 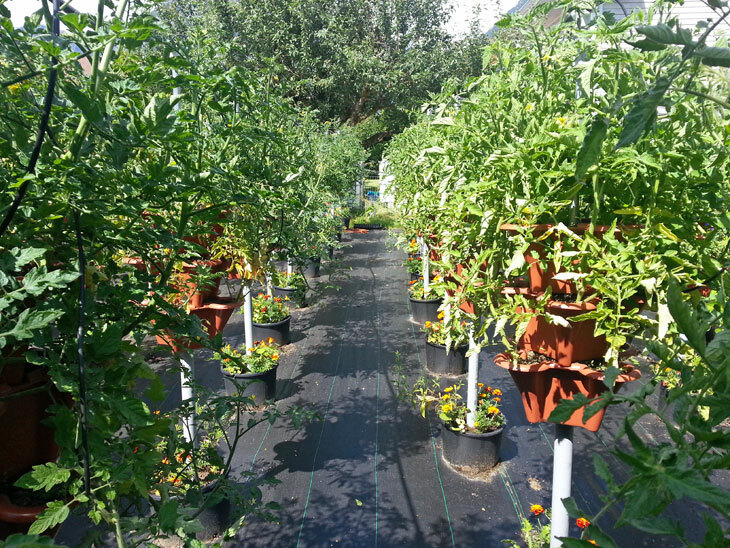 Although growing in the ground or a pot on the ground with staking or tying are common methods of support, growing them downwards saves so much time that we could easily grow 10x more without staking if we only look at the time spent on staking maintenance. Since staking can take minutes each week and the hanging takes no time at all, 10x is rather an understatement because this task is practically eliminated, unless a bad crack or semi-broken limb occurs from events like heavy winds. When limb maintenance does occur, a lap of tape around the stalk will repair it. If it is cut right off and the problem is found before a broken limb is badly wilted, cutting a patch out of the outer plant stem and securing it so it can pass nutrients over the break can work. To secure a complete break, the skin can be secured with vaseline and tape. A small piece popsicle stick can be placed over the vaselined patch too for extra support too. 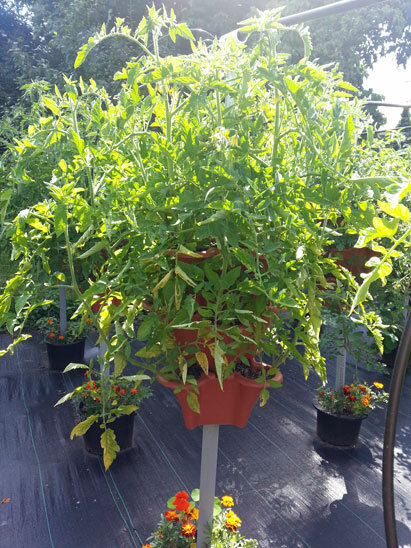 The images below exhibit a series of various varieties of tomatoes that are not staked, and will grow downwards. Vine Tomatoes. Tumbling Tom on left and Sweet Million on right.